The much-awaited launch of ‘Apple Pay’, the service that could convince consumers to pay with mobile phones, is currently under pressure as the UK’s leading banks question data access, among other terms. 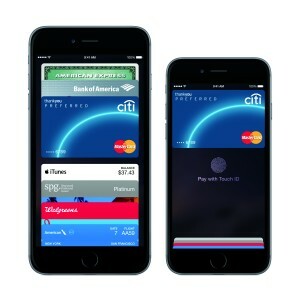 Apple hopes to introduce its iPhone ‘wave and pay’ service, Apple Pay, to the high street in the first half of 2015, however this timing could be effected if current negotiations between Apple and at least one of the biggest banks aren’t cleared up in good time. The leading cause for concern, as reported by The Telegraph, is that the bank is uncomfortable with the amount of personal and financial information Apple wants to collect about its customers. “Some executives fear Apple Pay and the data it delivers to Apple could serve as a beachhead for an invasion of the banking industry”, reports Christopher Williams, Technology, Media and Telecoms Editor at The Telegraph. Apple Pay, which Apple is referring to as ‘your wallet, without the wallet’, allows iPhone, Apple Watch (coming soon), or iPads with an app, users to pay using the device in any place that accepts contactless payments. Apple explains, “With Apple Pay, instead of using your actual credit and debit card numbers when you add your card, a unique Device Account Number is assigned, encrypted, and securely stored in the Secure Element, a dedicated chip in iPhone, iPad, and Apple Watch. And when you make a purchase, the Device Account Number, along with a transaction-specific dynamic security code, is used to process your payment”. According to the ITG Mobile Payments report Apple Pay has the ability to significantly transform the mobile payment space. ITG found that “Apple Pay was responsible for 1% of digital payment dollars in the month of November. This is a strong showing considering that the service is only available to Apple customers with the newest hardware and it is currently supported by a relatively limited list of merchants. In comparison, Google Wallet, which launched in 2011, accounted for only 4% of digital payment dollars in the same month”. Steve Weinstein, Senior Internet Analyst at ITG Investment Research, believes Apple Pay could pose a major threat to market leader PayPal’s current dominance of the Mobile Payment space, as “it will be difficult for PayPal to match the ease of use and consumer appeal of the Apple solution”. 60% of new Apple Pay customers used Apple Pay on multiple days through November, compared to just 20% of use for PayPal customers. Apple Pay customers use the service more than once a week with a tendency for repeat use of the service at the same merchants. The average Apple Pay consumer uses the service for approximately 5.3% of all future card transactions. Top five Apple Pay US merchants are: Whole Foods, Walgreens, Mcdonald’s, Panera Bread and Subway.